Are you planning to sell your Tampa home as quickly as possible? Maybe you are facing foreclosure & need a fast close. Perhaps you don’t want to keep your property anymore because of job transfer! If so, we are ready to purchase your home for a fair price. Stop thinking if your home will get sold or not, contact Simply Property Management and get a fair price for your prized possession within as little as 2 weeks. We are #1 cash home buying firm in Tampa for a reason – we buy homes quickly, no fees! To be honest, selling a home in the conventional way is an annoying process. There are costly repairs that need to be done, movers have to be contacted & scheduled, there is clean up that should be completed, you have to plan for your new house, you have to ensure the landscaping is taken care of, and all the while you have to find time to show your home to the potential buyers. Selling your home in Tampa does not have to be that stressful. 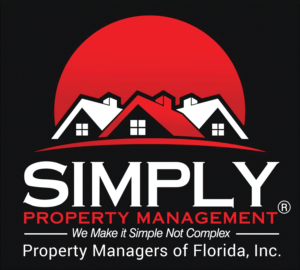 At Simply Property Management, we assure to eliminate the hassles of selling your property. No more loan approvals, no agents, no showings, no heaps of paperwork, and no more waiting to get the proper value of your home. We have cash & are ready to give you a fair cash deal for your Tampa home. We buy homes in Tampa FL in any state or price range. We specialize in buying homes that have been inherited, rented, gone through a divorce, vacant, sustained fire damage, need costly repairs and several other situations. Be it a single family home, a condo, townhouse, multifamily unit or vacant land – we buy it all. We have successfully managed hundreds of real-estate deals, which is a proof that we have the resources and knowledge to buy your Tampa property regardless of its condition. Unlike real estate agents, we will not list your home; we are actually the ones who buy home for cash. Because we pay cash, we are capable of closing quickly. Like mentioned above, when you deal with us there are no fees or commission involved – we buy homes quickly, no fees. This means there is no additional or hidden costs involved as people usually asked by their real estate agents. Regardless of how ugly your property is, we make sure you get the best value for it. We work different compared to other cash home buyers in Tampa. When you contact us & give us the detail of your property we promise to give you a lucrative offer within 24 hours.